The fuel crisis of the 1970’s hit Europe as hard as it did the USA. 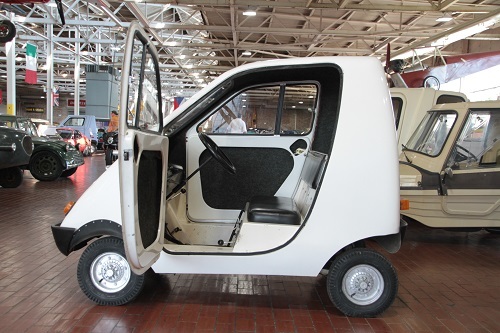 French legislators adopted a novel plan – encouraging small, regional manufacturers to produce small, efficient urban cars to meet a new set of regulations. 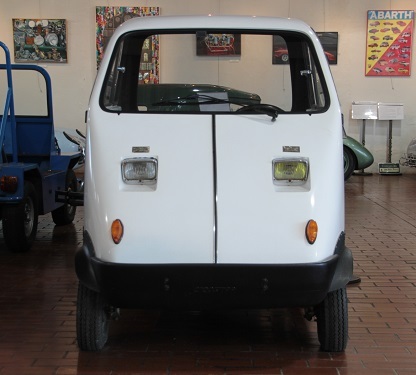 This was the beginning of the sans permis cars – cars that held two people, had a max speed of 45 kph, and engine size limited to 50cc. 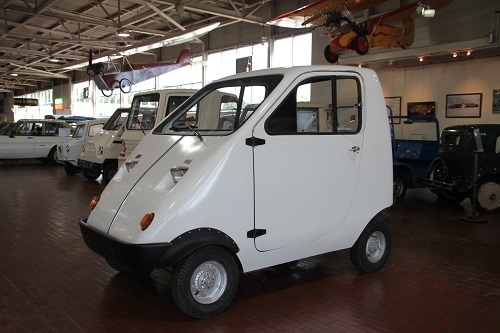 At its peak, over 30 manufacturers offered these tiny cars. Under sans permis, virtually anyone over the age of 14 could legally drive these cars on public streets. Some manufacturers were satisfied with the bare minimum, while others actually added some style, engineering, and creature comforts into their diminutive offerings. 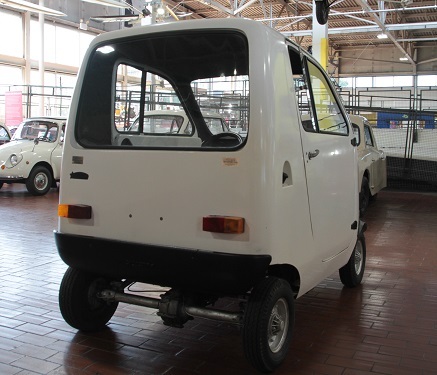 The Cicostar claimed “paper-free motoring, elegance, economy, ease of handling, and practicality.” This early, more rounded example is a bit less dated-looking than some of its contemporaries. Offered in 3-wheel (47cc Sachs) and 4-wheel (49.9cc Motobécane) versions, driving was easy with a constantly variable transmission. 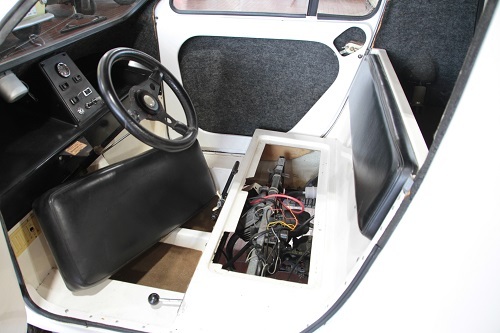 Comfort and handling were due to the independent front suspension. This small LCS gave way to a larger, more powerful model, the Matic, in 1980. Production ended in 1984.